Bi-level positive airway pressure (BiPAP) is a type of noninvasive ventilation that helps keep the upper airways of the lungs open by providing a flow of air delivered through a face mask. The air is pressurized by a machine, which delivers it to the face mask through long, plastic hosing. BiPAP is a device which provides the delivery of pressurized air from a tabletop device, through a face mask to support breathing. In some ways, it is similar to CPAP, but with BiPAP, the doctor prescribes specific pressures that alternate: A higher pressure is used to breathe in (called inspiratory positive airway pressure, or IPAP) and a lower pressure is used when breathing out (called expiratory positive airway pressure, or EPAP). People with COPD have difficulty with breathing, which is often worse at night. At night, the already weakened throat muscles in people with COPD can collapse, worsen the airway obstruction that occurs with the disease. When this occurs, it can be hard for patients to keep their airways open enough to keep their oxygen saturation levels up, and at the same time keep their carbon dioxide levels in their blood down (avoid hypercapnia.) BiPAP can help with this by delivering constantly pressurized air through a mask which decreases the work which must be done for an adequate gas exchange of oxygen and carbon dioxide to take place in the alveoli. It's thought that BiPAP may also help by allowing already weakened respiratory muscles to relax for a period of time at night. For COPD patients, BiPAP is the preferred method of treatment over CPAP (continuous positive airway pressure) because it's easier for these patients to exhale against the lower pressure. It can be difficult for anyone to exhale against pressure (this is why BiPAP is sometimes used instead of CPAP for sleep apnea), but this can be particularly difficult with COPD, in which exhalation is more of a problem than inhalation. BiPAP also allows for adjustments in time, which is very helpful for those with COPD in which exhalation is slowed. With hypercapnic respiratory failure (respiratory failure type II in which the main symptom is retention of carbon dioxide) as an alternative to mechanical ventilation. For people with moderate to severe dyspnea (the sensation of shortness of breath), tachypnea (rapid but shallow breathing), increased carbon dioxide levels in the blood (hypercapnia) and a blood pH of 7.25 to 7.35. 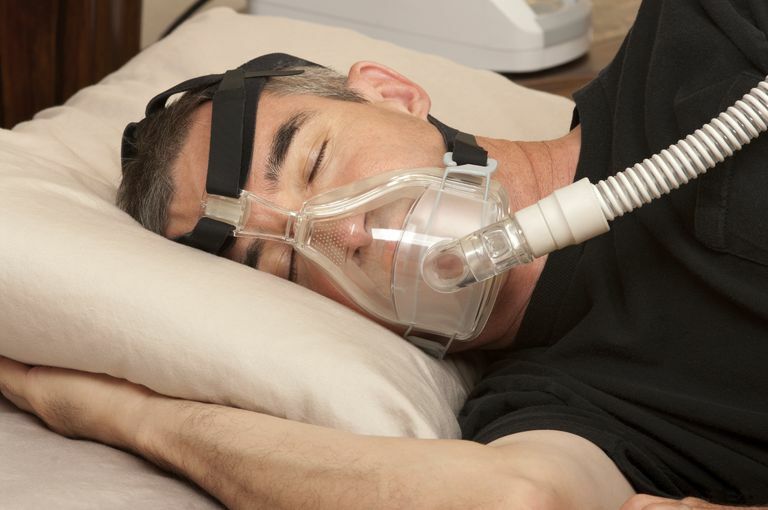 The use of BiPAP, when indicated, may reduce the number of COPD exacerbations someone experiences, and may decrease the need for mechanical ventilation ( respirator support). BiPAP can also make a difference in life expectancy and has been found to significantly reduce the risk of death from the disease. The use of noninvasive ventilation in COPD is still in the early stages of being evaluated in many ways, and its exact role for patients with COPD is still being determined. While it may be very helpful for some people with the disease, it is not helpful for everyone. At the present time, it should not be used in people who are medically unstable, such as those who have low blood pressure or serious infections. Patients with severe acidosis (a low blood PH) and those with a rapid heart rate (tachycardia) in particular, appear to not do well with this treatment. Ankaergaard, K., Tonnesen, P., Laursen, L. et al. Home NonInvasive Ventilation (NIV) Treatment for COPD Patients With a History of NIV-treated Exacerbation; a Randomized, Controlled, Multi-center Study. BMC Pulmonary Medicine. 2016. 16(1):32. Duiverman, M., Windisch, W., Storre, J., and P. Wijkstra. The Role of NIV in Chronic Hypercapnic COPD Following an Acute Exacerbation: the Importance of Patient Selection. Therapeutic Advances in Respiratory Disease. 2016. 10(2):149-57. Gay, P. Nocturnal Ventilatory Support in COPD. UpToDate. Ko, B., Ahn, S., Lim, K. et al. Early Failure of Noninvasive Ventilation in Chronic Obstructive Pulmonary Disease With Acute Hypercapnic Respiratory Failure. Internal and Emergency Medicine. 2015. 10(7):855-60.